Luxurious Holidays in Egypt: Executive Holiday to the famous historical and archaeological sites starting from Giza Pyramids to Valley of the Kings and karnak Temples in Luxor. Also, enjoy visiting Horus Temple, Sobek Temple, Philae Temple, the Unfinished Obelisk, the High Dam in Aswan. Egypt Travel representative will meet and assist you at Cairo International Airport. After that you will be transferred by a modern air-conditioned vehicle to your 5 star superior Hotel in Cairo, Le Mereiden Pyramids Resort Cairo. Overnight in Cairo. Breakfast at your hotel in Cairo and then met by your personal guide who will accompany you to Giza Plateau to visit one of the seven wonders of the ancient world, the Great Pyramids of Cheops, Chefren and Mykerinus, famous Sphinx , varying between six-thousand and even thirteen-thousand years old ,and Valley temple facing the great statue. Lunch at good quality local restaurant. Then transfer to enjoy the Egyptian Museum, Treasures room for the child king Tutankhamen. Continue to Coptic Cairo to visit the Hanging Church and Ben Ezra Synagogue. Combining fascinating history with shopping in a lively Khan El Khalili Bazaar, this dates back to 1382. Back to hotel. Overnight in Cairo. Transfer to Cairo Airport for flight to Luxor where you will be met and transferred to embark your 05 star deluxe Nile Cruise. In the afternoon you will be accompanied for a wonderful tour of the East Bank of the Nile in Luxor. Here you will see Karnak and Luxor Temples. Return to the ship for afternoon tea and dinner. Overnight in Luxor. After breakfast transfer to the West Bank of the Nile in Luxor and visit the Valley of the Kings, Hatshepsut Temple at El Deir EL Bahari, and the Colossi of Memnon. Return to the ship for lunch & afternoon tea while sailing to Edfu via the Esna Lock. Dinner on board. Overnight in Edfu. Enjoy breakfast on board before visiting Horus Temple at Edfu. Return to the ship for lunch and sail to Kom Ombo. Upon arrival, visit the temple shared by the two gods Sobek and Haroeris. Return to the ship and continue sailing to Aswan. Dinner on board. Overnight in Aswan. After breakfast pay a visit to the High Dam, the Unfinished Obelisk, and the majestic Philae Temple. Return to the ship for lunch. Dinner on board. Overnight in Aswan. At 03:30 am disembarkation from Cruise. Breakfast box is prepared for you. Then ransfer by a private air-conditioned vehicle Abu Simbel, about 03 hours and half driving. After that embark your 05 star deluxe Lake cruise, M/S Moevenpick Prince Abbas. Check In Abu-Simbel on board. Lunch on board, then visit the Temple of Abu Simbel. In the morning tour to Wadi El Seboua, the temples of Dakka, and Meharakka. Lunch on board. Sail to Aswan while dining and overnight on board. After breakfast, checkout in and disembarkation from Lake Cruise in Aswan. Then visit the Kalabsha temple, Beit El Wali and the Kiosk of Kertassi. After that transfer to Aswan Airport to board your flight to Cairo. Overnight in Cairo. 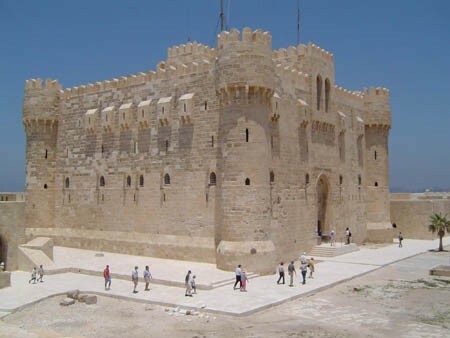 After breakfast, transfer to Alexandria, the second capital of Egypt, visiting Qaitbay Citadel, built in the 15th century by Sultan Qaitbay on the spot of Alexandria’s ancient lighthouse. See the grand Montazah Palace, which combines Turkish and Florentine architectural styles, then move on to the new and much acclaimed Alexandria Library. Also visit the Roman cemetery cut out of the rock, the Catacombs. Lunch at local restaurant. Return to Cairo and overnight. Accommodation for 4 nights in Cairo including breakfast. Accommodation for 4 nights on 5 deluxe star Nile cruise on full board. Accommodation for 3 nights on 5 deluxe star Lake Cruise on full board. All sightseeing Tours in Cairo, Abu Simbel & Alexandria. All sightseeing tours on your Nile and Lake Cruises sharing cruises group. Tour to the Temples of Abu Simbel Temples, Amada, Derr. Tour to the Temples of Wadi El Seboua Temple and Dakka. Tour to the Temples of Meharakka and the Kalabsha. English Egyptologist guide throughout your tours. Lunch during tours in Cairo and Alexandria. Domestic flight (Cairo — Luxor — Aswan — Cairo).